DVLA provisional license cost UK 2017: Everyone who drives a vehicle must have a license. And the license needs to be renewed at a certain interval of time. Here we will discuss on DVLA driving licence enquiries number and renewal tracking. The UK government cares for the aged people and in order to make the license renewal process easier for the aged citizen, it provides Driver and Vehicle Licensing Agency’s (DVLA) online secure service for people who are at age 70 or over. It is an efficient and very convenient way for renewing the driving license.The online renewing service saves you from troublesome long hours of waiting in the line. The task can be completed very quickly; you just need to provide some basic information.It is also much secured and your personal information is protected from disclosure. DVLA is an organization working under UK government. Its main work is to maintain the database of drivers and vehicles both in Great Britain. The DVLA is wholly responsible for database maintenance, vehicle registration, number plate’s sale and other work related to transportation etc. The properly updated and maintained database helps the government towards improving road safety, minimize vehicle-related crimes, limit tax evasion and support environmental measures. It also helps to cut unnecessary red tapes for motorists. The DLVA provides many online services that make some of the work for the citizen easier like getting a vehicle registered, getting vehicle log book, changing license holder’s address etc. It offers online driving license renewal service for the aged citizens of UK. How To Apply Online To Renew A UK Driving Licence At Age 70 Or Over? 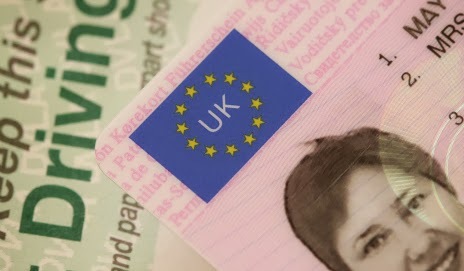 You must have a British license which has expired or is going to expire within 90 days. You must be a British resident of the age 70 or more. You must pass the minimum eyesight requirement. You address must be over three years. You must be driving currently. If you have your driving entitlement as either C1 or D1, you can’t use online service. Visit the DVLA renewing website and finish registration process at http://www.direct.gov.uk/en/Motoring/Motoringtransactions/BeforeyouapplyB/DG_066956. Make sure you have read all the necessary requirements. Provide your personal information in the specified box as required. Confirm that the details provided by you are correct and then submit the form.